DIAGNOSTIC FEATURES: Goblet-shaped cups and no usnic acid. 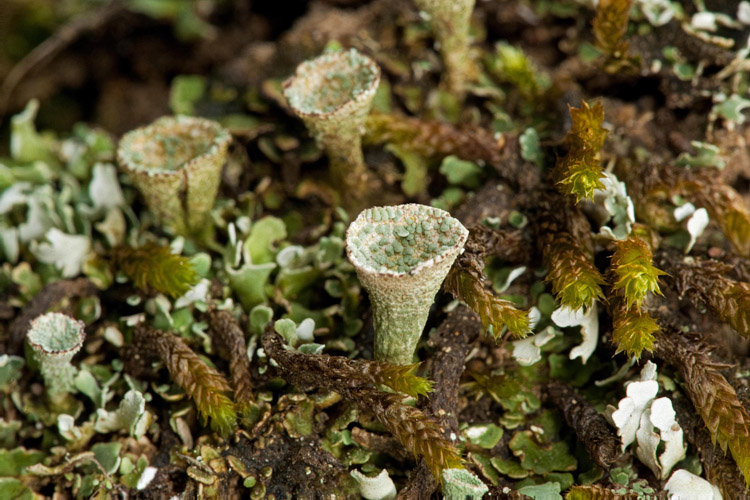 Cladonia pyxidata (pebbled pixie-cup) can be identified using a handlens. 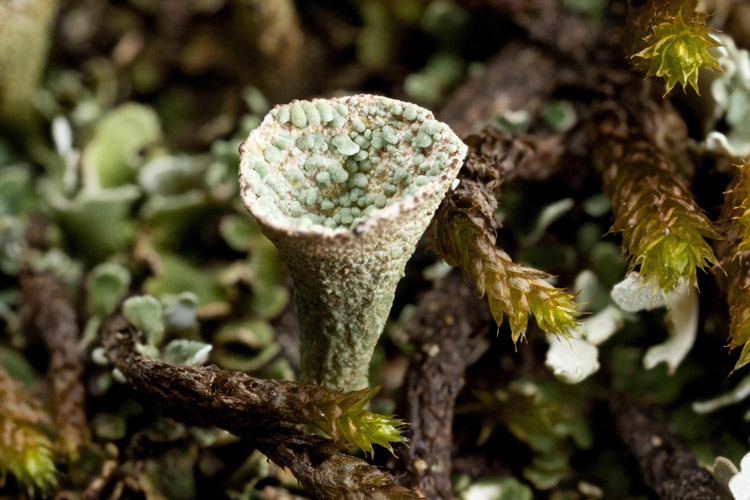 The podetia are without granular soredia, usually corticate to areolate, and always have flat, circular, corticate “squamules” plastered to the inside of the cup; always P+ red. 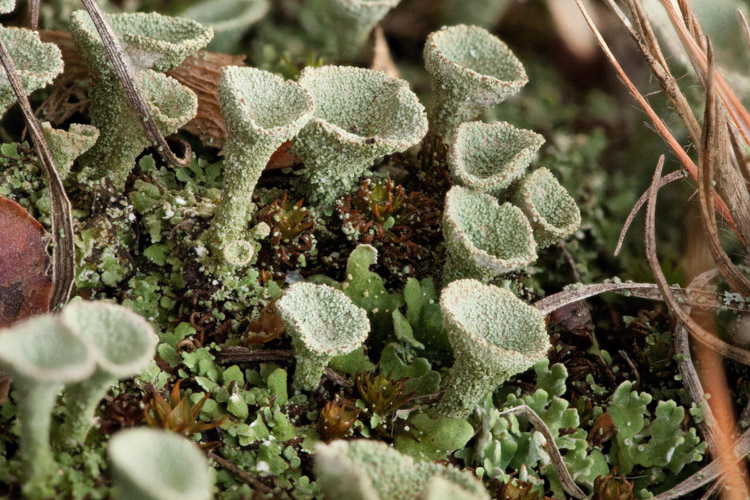 The granular sorediate group of pyxie-cups will occasionally be so coarsely sorediate that they appear to have corticate “squamules” in the cup and on the surface. ECOLOGY: Members of the C. pyxidata complex are found over much of the United States, all five Ohio species are widespread. 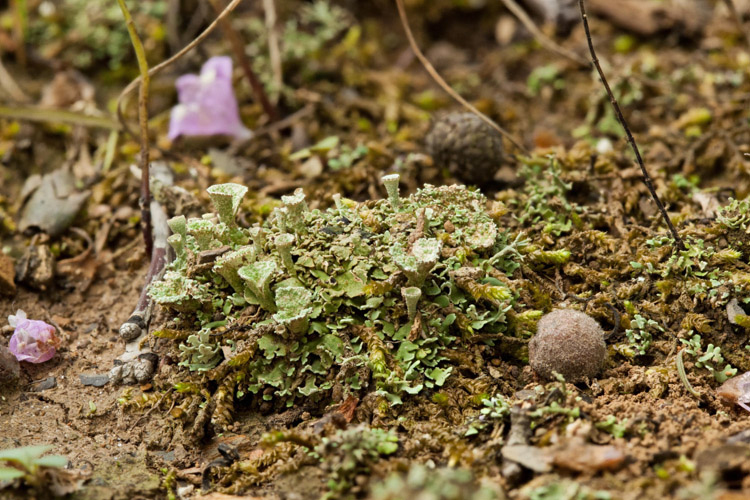 C. grayi is by far the most common of the pyxie-cups; on soil mainly, occasionally on bark.